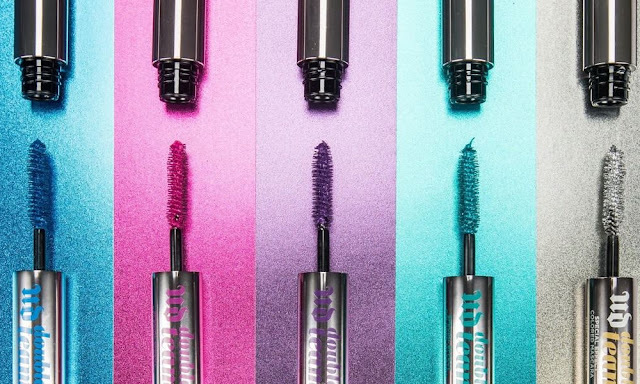 Urban Decay is introducing a versatile Double Team Special Effect Color Mascara – a double -end mascara designed to offer great aesthetic impact with two different finishes in a single tube! 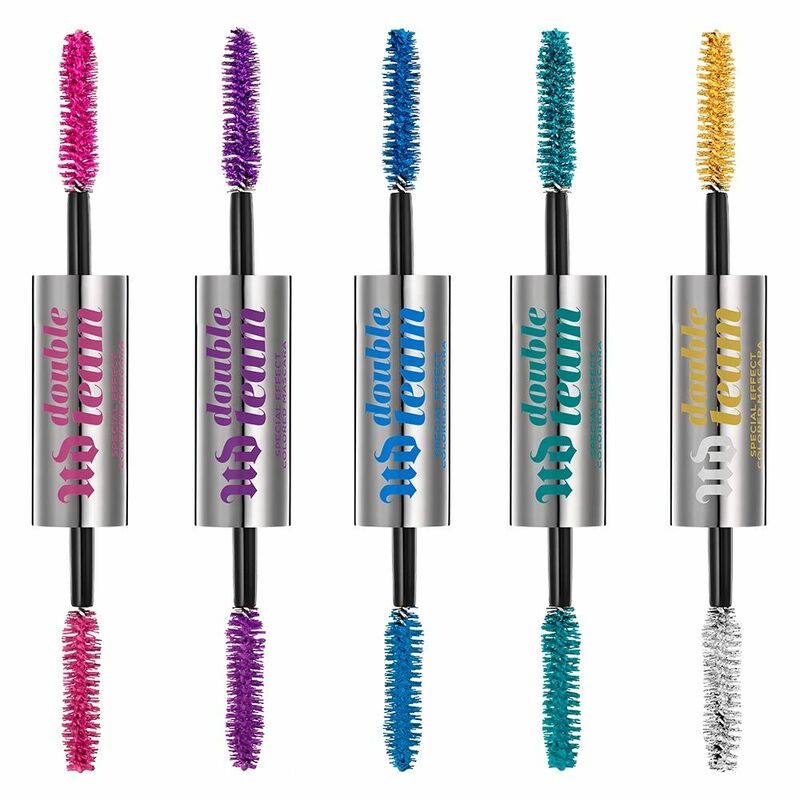 Double Team Colored Mascara is available in five colorways. Four of them are featuring a rich cream shade on one side, and a metallic top coat on the other; while the special Dime/Goldmine option features two metallic topcoats in gold and silver. 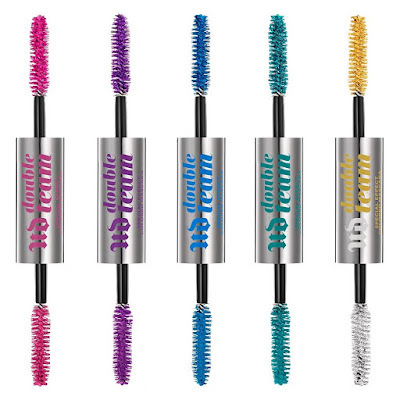 Called Double Team because of the double effect given to eyelashes: the cream formula , wraps every single eyelash with an intense film colored and saturated with pigments. The special effect formula instead, thanks to the innovative finish that characterizes it, determines a pleasant multi-dimensional and multi- faceted effect, absolutely sparkling. The creamy and enveloping texture, made up of particular filming polymers, is formulated to not glue the lashes and do not weigh them down. 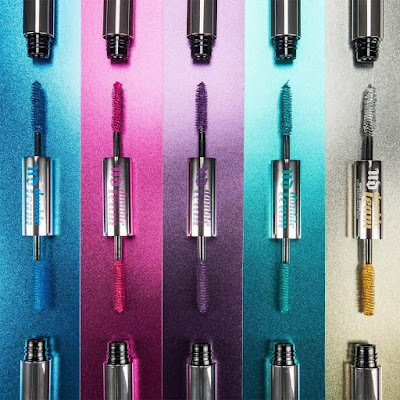 Described by Urban Decay, the cream shades lay down a pop of color, while the metallic shades provide multidimensional sparkle. 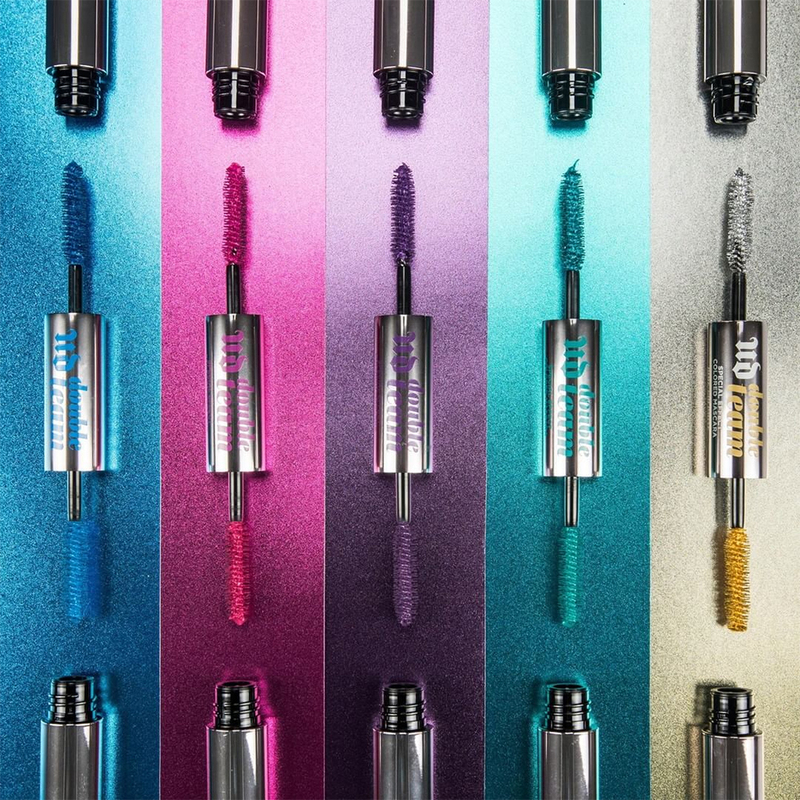 Each of the shades can be used on its own, on both eyelashes and eyebrows, or paired with its matching counterpart. 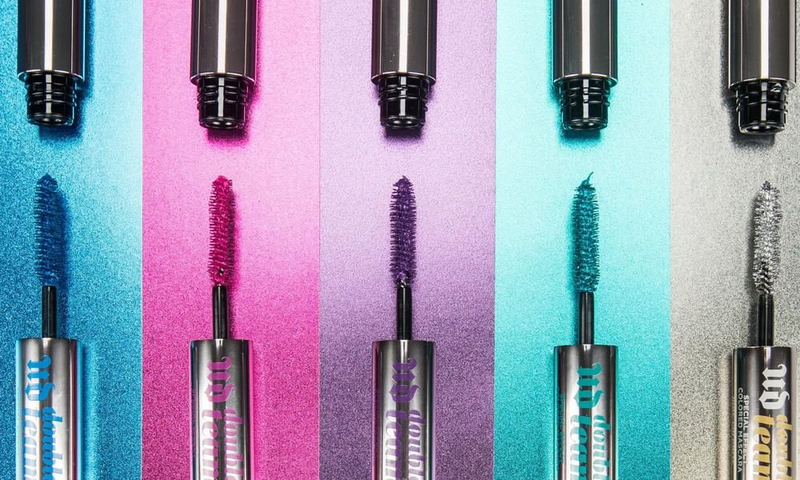 The mascara is available in five different shades to elevate your eye makeup: Perfect to use in the summer thanks to the long seal ensured by the waterproof formula!